Prefabrication is a modular concept for construction. Parts of a project are made, or prefabricated, before being delivered and installed on a job site. The project team determines what level of prefabrication can occur. The more elements that are prefabricated, the bigger the savings. Prefabrication can speed up the completion of a construction project. When part of the construction project happens off-site, it can run parallel to other processes taking place on-site. This saves time compared to the sequential scheduling process. Saving time also saves money. It is also typical to see cost savings on the part done off-site due to the replacement of field labor with factory labor. A well-designed prefabrication plant will streamline the process by optimizing the factory layout. The product can move through labor stations rather than the labor moving through products. Another clear advantage to a well-designed factory is the high level of quality control. A smart factory includes controlled environments for coatings and in-line quality control. Construction sites are weather sensitive and provide limited space. The factory setting has many advantages. 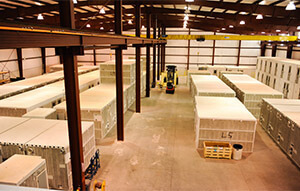 A prefabrication facility should be able to move products in an efficient and safe manner. Material handling should be emphasized to ensure low cost and worker efficiency. The area designated for final coatings should be an optimal environment. It should control temperature, air flow and humidity levels. These conditions are required for peak performance. With larger products, adequate space for staging before shipping is essential. The prefabricated manufacturing operation should not be weather sensitive for optimal efficiency. 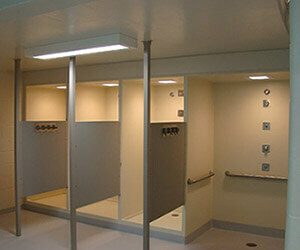 A variety of projects would benefit from using modular, prefabricated units. 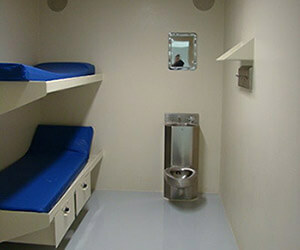 Any project with repeating rooms, such as a dormitory, apartment building or hotel. Projects in areas of the country that lack skilled labor or that have short building seasons would benefit because most of the labor happens in our plant. This allows projects to maximize their timeline. 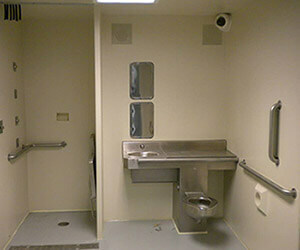 Projects with complex construction can be thoroughly monitored in a controlled environment. All projects would benefit from our high level of quality control. For a client, seeing the manufacturing facility is always a good idea. 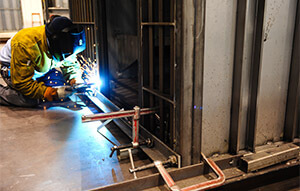 Much of the benefit of prefabrication is based upon quality, cost and speed. Visit the factory and see the process to understand what is possible. 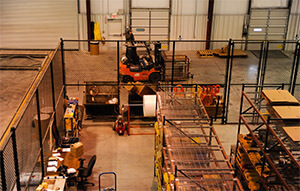 SteelCell of North America has a state-of-the-art manufacturing facility and years of experience. We have thousands of cells in the field. Most importantly, SteelCell continues to innovate and expand what is available in prefabrication. Contact us to arrange a factory visit before you begin your project.